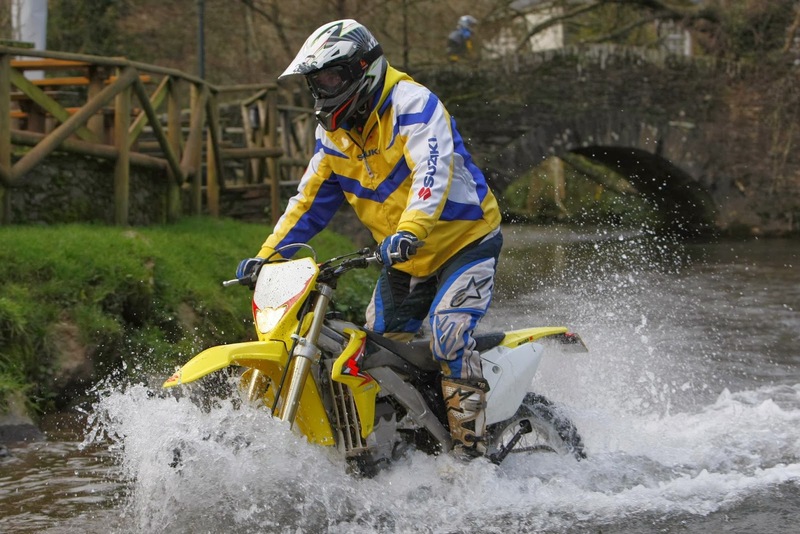 Suzuki has announced the return of the RMX450Z to its off-road range for 2014, but the multiple-championship winning enduro machine will only be available in limited numbers. first year of competition, uses a revised 450 cc, fuel-injected four-stroke engine and features both electric and kick start, lighting kit, retuned suspension, enduro-specific gear ratios, side stand, sump guard, and an 18-inch rear wheel. "We're delighted to be bringing the RMX450Z back for 2014. The bike was launched to universal praise in 2010 and immediately went out and won two high profile championships in the hands of Tom Sagar, and we're confident new customers will find out just how capable a machine it is and be impressed with how competitively priced it is, at just £5,995. Despite using the same original architecture of the highly regarded RM-Z450, the RMX450Z is anything but a converted motocrosser, with specifically retuned engine and suspension, enduro-specific gear ratios, while the 18-inch rear wheel aids in tyre choice. It's a factory developed enduro machine," said Paul de Lusignan, GM, Suzuki GB. The RMX450Z is available in dealers from January 27, 2014 with an RRP of £5,995.